Luxurious bed and breakfast adult accommodation. Surrounded by 5 hectares of beautiful Banksia and wildflower gardens. Wildflower information centre, cafe, function room and botanic art gallery overlook the ancient Porongurups Ranges for breakfast. 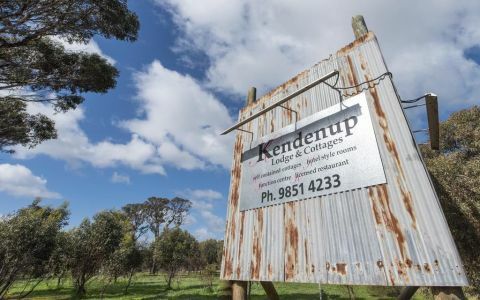 The bed and breakfast accommodation consists of half of a large two storey granite panelled homestead. Two spacious rooms are available - one with a queen bed and the other a double bed. They adjoin a large, formal sitting room which has a piano, half sized pool table and extensive library, refrigerator, television and tea/coffee facilities. The rooms lead via a jarrah floored passageway to a private bathroom which has toilet and shower/spa facilities. Breakfast is served in the cafe/gallery, a short walk away, and has cappucino facilities. 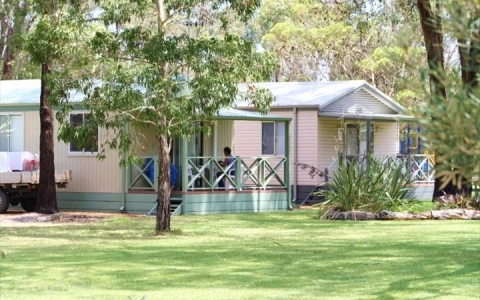 The bedrooms and cafe have wonderful views of the elegant Porongurup Range and Mt Manypeaks. 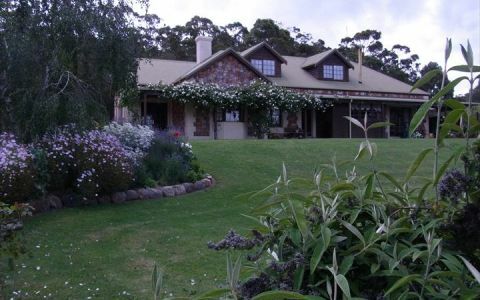 The house and cafe are set on an 11 acre farmlet, predominantly revegatated with native plants. The worlds only complete arboretum of banksia species and most of the larger genus dryandra. The property is Land for Wildlife accredited and boasts a wealth of birds, various small marsupials, lizards, frogs and other wildlife. The farmlet is very quiet and relaxing. One double bed. Continental breakfast inculded. Cooked breakfast available at extra cost. Adult Retreat. One party exclusivity. Two book both rooms please contact the Albany Visitor Centre on (08) 9841 9377. A 50% deposit is payable on booking - Reservations cancelled more than 14 days prior to arrival receive a refund less a $20 cancellation fee. If cancelling with less than 14 days notice we reserve the right to retain the deposit if no replacement bookings occur. In addition there will be a $62 Albany Visitors Centre cancellation fee. Just 2km's off Albany Highway - sign posted from the Southern entrance to Mt Barker at Mondurup St.
Mark & I had our wedding there 3 years ago. Loved it so relaxed. Best location for a wedding and so hospitable. We stayed in b&b overnight..just gorgeous. I still have my wedding bouquet which are now dried banksias. Thanks for being part of making our wedding perfect for us. Thanks for Hosting uncle Phill's send off. Great venue, great people and set in a world renowned garden. The only complete Banksia collection. The Banksia Farm is a true credit to Kevin and his wife's dedication to native species, especially the Banksia and Dryandra. Thank you Kevin for your time and all the information you shared with us today. It was a real pleasure to be there.